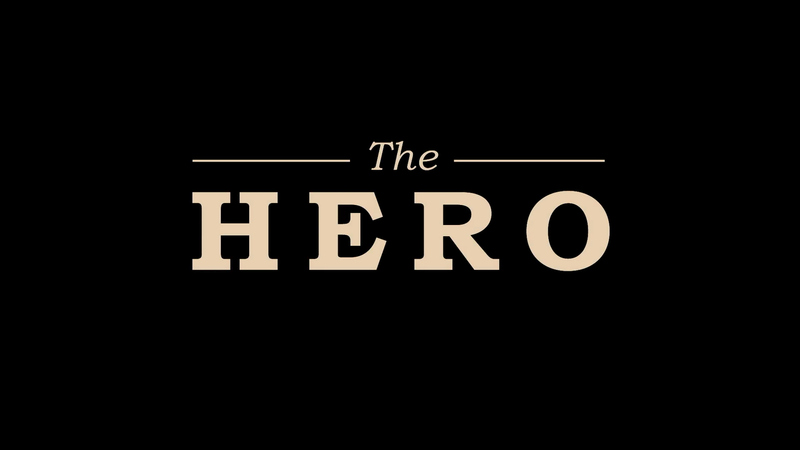 The Hero isn’t a movie that will be remembered for its sometimes clichés-filled plot or the style, but Sam Elliott gives a soulful and brilliant performance that I hope is remembered come awards time and the supporting cast, Prepon and Offerman especially, turn in solid work. Plot Synopsis: Lee Hayden (SAM ELLIOTT) is a Western icon with a golden voice, but his best performances are decades behind him. 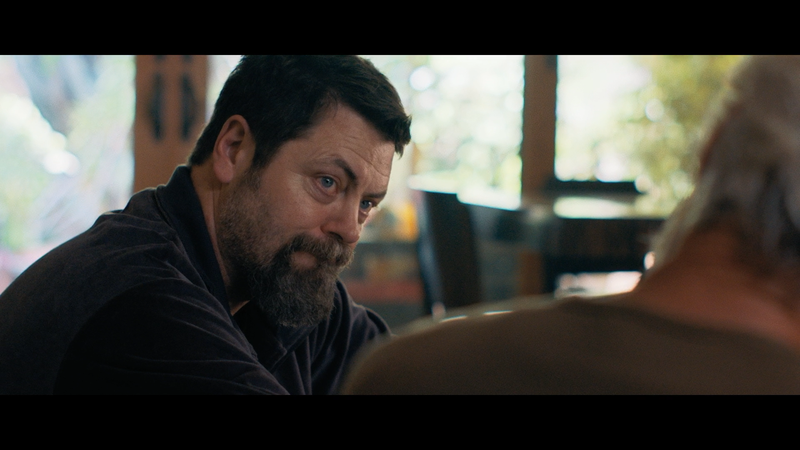 He spends his days reliving old glories with his former costar, and weed supplier, Jeremy (NICK OFFERMAN), until a surprise cancer diagnosis brings his priorities into sharp focus. He soon strikes up an exciting relationship, following an introduction at Jeremy’s home, with stand-up comic Charlotte (LAURA PREPON), and he attempts to reconnect with his estranged daughter, Lucy (KRYSTEN RITTER), all while searching for one final role to cement his legacy. 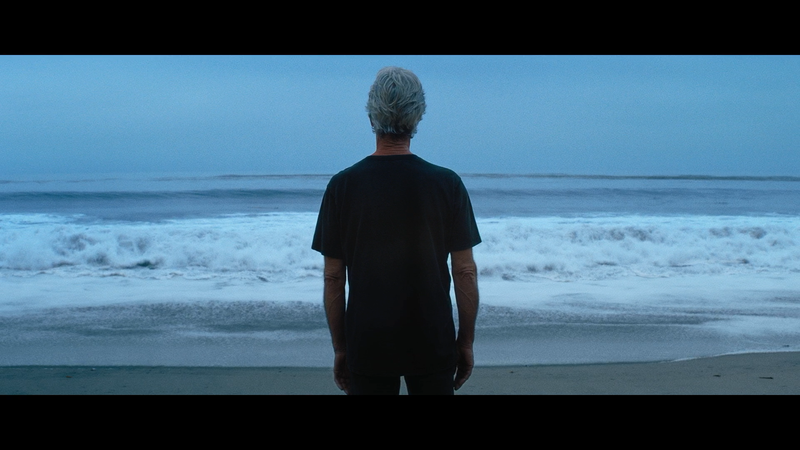 Quick Hit Review: The Hero hardly breaks new ground in the soul-searching, dying-of-cancer, genre but instead this movie stands out with a brilliant, understated, quiet yet powerful performances from Sam Elliott who is certainly deserving of some award recognition. The rest of the cast does fairly well, Laura Prepon gives a nicely dramatic performance opposite Elliott and in her very few scenes, Krysten Ritter displays the (rightful) resentment of a daughter dealing with an absentee father. Not to be lost, Nick Offerman, known mostly for his comedic turns, does a fantastic job as Lee’s best friend… and provider of weed. The Hero was co-scripted and directed by Brett Haley, who made his mark with 2015’s I’ll See You in My Dreams, which co-starred Elliott, touching upon some of the same themes with Blythe Danner playing an aging woman embracing life at an older age. 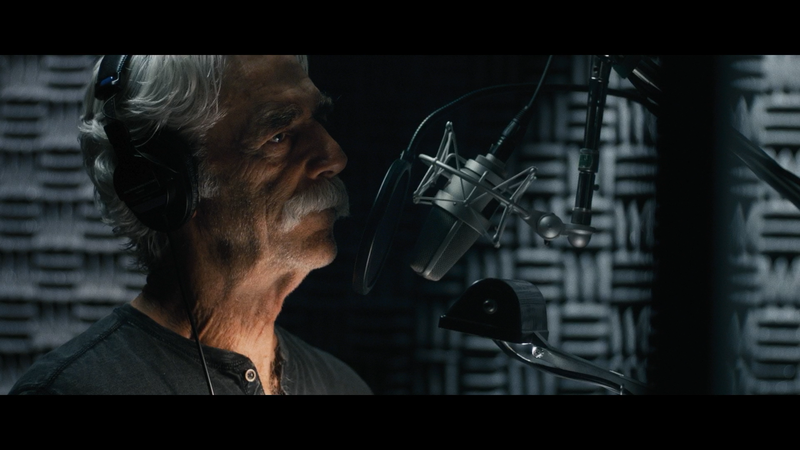 Although I don’t think The Hero really makes a mark with the script, editing or even direction (there are some beautiful shots) but instead its Sam Elliott’s acting that makes it memorable from his more voicetrous lifetime achievement award speech to the quieter moments having soulful conversations with Charlotte. Beyond the performances, the movie might not be great but it is still well worth renting. This release comes with a matted slip cover and inside is a redemption code for the Digital HD copy. The features are on the limited side, unfortunately, but there is an Audio Commentary with Co-Writer/Director Brett Haley and Actor Sam Elliott and a Photo Gallery. The Hero comes to Blu-ray through Lionsgate offering an ‘alright’ 1080p high-definition transfer which is shown in the film’s original 2.35 widescreen aspect ratio. Although detail is good and colors more on the neutral side, I did feel there was what appeared to be minor artifacting in some of the more distant shots while close-ups aren’t bad. The disc comes with a very low key DTS-HD Master Audio 5.1 track. Considering this is a very quiet movie with plenty of scenes with absolutely no dialogue, this was a limited lossless track. Still, Elliott’s distinct gravelly voice bolsters through the center channel quite well while there is a modest amount of ambient noises as well as the score making use of the rear speakers. 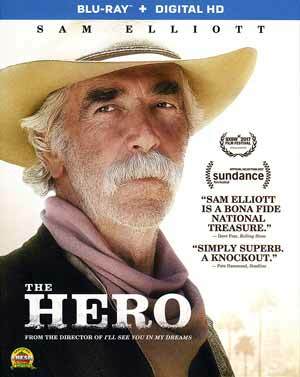 Overall, The Hero isn’t a movie that will be remembered for its sometimes clichés-filled plot or the style, but Sam Elliott gives a soulful and brilliant performance that I hope is remembered come awards time and the supporting cast, Prepon and Offerman especially, turn in solid work. The Blu-ray release has good video, low key audio and minimal features headlined by the commentary track.